One of the most amazing things a picture book can offer readers is a new perspective; the realization that the world looks different through everyone’s eyes. More than that, the realization that you have the power to change your perspective, and derive confidence from it. Awareness, empathy, understanding – they all begin with a look through a different lens. And In our ever-busier, ever more digital world, a great picture book can still expand a child’s perspective and empower them to embrace the diversity and change around and within them. 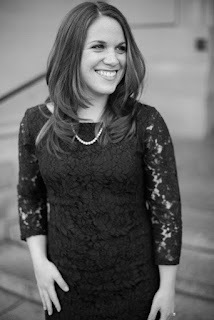 Jenna Pocius is a literary agent with Red Fox Literary, a children’s book author, and a former editor. 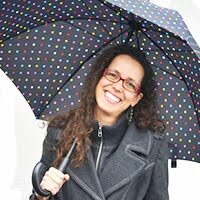 She represents children’s authors and illustrators across age groups and genres. Jenna lives in Connecticut with her husband. They All Saw a Cat is such a great one for getting children to understand the concept of perspective. I also love You are (Not) Small by Anna King and my students think it is hilarious. Oooh, I just read Windows, feeling the whole time like I was a peeping tom. But in a good way. A curious, childlike way. Reminded me of when I was a kid, walking through the neighborhood and looking in at everyone while on my way home. A beautiful memory. They All Saw a Cat is ingenious. Thank you for a great post. I really enjoyed re-reading these books and focusing on the books' power to shift the reader's perspective. To engage children, who are born egocentric, and then to have them see the world through another's eyes, what a gift! Thank you for this post! I love how picture books can help children see the world through so many different lenses - that's very powerful for all ages but especially for developing minds. Thanks for these great recommendations! Such important lessons for all ages. We must be open to see the world from another's viewpoint as well as through a variety of unique perspectives. Great mentor texts. Thanks, Jenna! The lens-shifting perspective that picture books can offer is indeed one of the most powerful contributions. Our world is diverse, and the stories we share with children can reflect that all-encompassing perspective with authenticity, respect and purpose. Many thanks for sharing this meaningful message! Thank you, Jenna. Yes, we can and should be helping children embrace diversity. We must keep our own eyes and minds wide open so we can write these books. Great selection of books. They All Saw a Cat is a family favorite. Really enjoy how these books prompt the reader to see the world from a different perspective. Thanks for the selection. So many ways to see our world. Thank you. all titles young readers could relate to and learn from. good choices! Thank you for sharing this selection of books and your perspective! These mentor texts are great -- some of my favorites! I wish more adults would look at the lessons on perspective that these books highlight. Thank you for your post. I so agree with what seems to be a lost art of looking through someone else's eyes to grow empathy. Just love this post! These are great books on perspectives. Thank you so much! I love these books. Thank you for sharing, Jenna. Another I love is, I AM (NOT) SMALL. Love your selection of books, Jenna. Would love to win a sub pass. Even intermediate grade kids are fascinated by THYE ALL SAW A CAT. The power that text and illustrations have together is eye-opening. 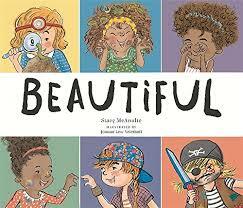 I loved how the illustrations in Beautiful gave new meaning to how we describe girls. These were all fun books that help us see the world in new ways. Thanks, Jenna! Hi Jenna, thanks for these "perspective" titles. I have not read any of these. "Beautiful's" cover really captures my interest, and "They All Saw a Cat" makes me smile with anticipation to find out what it was they really saw, lol. Ahhh...the way we see the world. A good example and though provoking on ow the books our children read influence. Great post and headed to library again today and will (hopefully) have the ones I have not read yet. Many thanks! Thank you, Jenna. This is a nice collection of books to emphasize looking at things through a different sense. Great books - and fun! Taking an evening walk and creating stories based on what you see through windows; a cat seen through different eyes; perspective on things based on where you stand.... what a wonderful way to help children understand that theirs is just one of many ways of seeing the world. A lesson that needs more heed. I appreciate the timely message these books all have about looking at things from different perspectives. My favorite page was the one in THEY ALL SAW A CAT where the image of the cat is a collage of all the perspectives of the different creatures in the book. Brilliant! That is the essence of a good children’s book—it opens the child’s eyes to a new way of seeing, and new possibilities for being in this world. Books enlarge and enrich our lives, and the very best ones leave the readers with hope. I loved THEY ALL SAW A CAT. Thank you for the other amazing selections. Loved Windows. I always feel so guilty looking through night windows, but my eyes are always curious and can't help but wonder what's going on inside. Great book. I also loved the other I was able to get-They all saw a cat. Loved the perspectives he used for the illustrations! Windows is a terrific PB, with the lens pointed inward in a unique way. Thanks, Jenna! So important for children and adults to learn about other people's shoes and what it would be like to walk in them. In a world whether empathy, and being able to see the world and others through their shoes is perhaps the most important gift we can give our children, you've given us really valuable insight and tangible models on the way to do just that. Thanks! Jenna, you have encompassed what picture books should always be, looking through a different lens. As we are adults who write these wonderful books, we always need to be looking at the story through the eyes of a child. They are still innocent in their world views and we need to capture that innocence in our writing, giving the readers power to change the world around them. Thank you! Thanks for sharing. Thinking of mirroring - I’m tickled pink by our shared first names! And of course names are an important thing and concept to kids. And thanks for the particularly exciting give away!!! I love the different ways perspective is changed in these books! These picture books certainly made me look through different lenses and consider my own views! Thanks for sharing with us! The realization you can change your perspective is such an important message for a child (adults, too!). So impressed with the titles I've read. Still looking for the others. Thanks for sharing YOUR perspective, Jenna. This is probably my most favorite thing about picture books. Reading your words gave me goose bumps because it is so powerful to change perspective. What a gift. Thank you! Great choices on how to open up young readers' eyes and minds using perspective. Thank you, Jenna. Another perspective-challenging book that I love is YOU ARE (NOT) SMALL by Kang/Weyant. Great list! Jenna, you describe it beautifully--"...offer readers a new perspective; the realization that the world looks different through everyone's eyes." The magic of lyrical language with enticing images can empower a child and change their perspective forever. That is why I write. Thank you for sharing this selection of mentor texts and for your generous give away! Many thanks for sharing. Love how different perspective awakens children. Thank you for the great suggestions! Great post, Jenna! Wonderful selection of books to raise 'awareness, empathy, understanding.' A powerful trifecta. Thank you! Still waiting on the books from the library but loved They All Saw a Cat. Jenna, I appreciate these titles. They All Saw a Cat is a big hit in the classroom read aloud because we talk about how different creature see. Windows is excellent too. Thank you. Great group of titles! A new perspective is such an important thing to share with young readers. Thanks, Jenna. A great set of books, including some personal favorite mentor texts - looking forward to reading Small, which is new to me. This post is a great reminder that the story isn't complete until the reader joins in. Yes! Those are the kinds of books I'm trying to write. A peek into the invisible, or cosmic comparisons - those are the kind of world doors I want to open for readers. Relooking at those recommendations now! I loved all of these books. My favorite was Double Take. A new way to look at an old concept. Thanks for the wonderful post. Children love "They All Saw A Cat" and so do I. Thanks for all the great titles! I love books that open eyes and hearts! Thank you! Great selection of books. Thank you! Wonderful! Thanks for helping me begin my day with perspective! These picture books are wonderful examples of seeing the world through various POV. Jenna, thank you for the examples giving stories told in a different perspective. I'm enjoying these mentor texts! Such wonderful mentor texts and such an amazing prize. Thanks, Jenna! Good luck to whoever wins. Read, read, read, write, write, write, revise, revise, revise and make the best of your opportunity! We adore WINDOWS at our house. Thank for this post! Its so important for kids to learn empathy from a young age -- its a skill I think many adults need to learn better as well! I love books that show another way of viewing the world. Beautiful is such a beautiful example of this. Thank you for all these wonderful mentor texts. I can't wait to read them all! These books are awesome! I enjoyed all of them! I think such books on perspective are useful for all ages. Is it possible to read THEY ALL SAW A CAT and not feel a smidgeon of comprehension? I love how picture books can convey so much in so tight a package. Anyone else think some of these titles should be required reading in high-school? Anyway... Thank you, Jenna, for sharing a few new titles on the subject! Seeing through another person’s eyes can be rewarding. Great mentor text list! I'm always amazed at the impact a strong PB can have! Great post. So important to see the world through another person's eyes. I can't wait to check out windows as I'm always fascinated with how others' live. These are excellent titles for showing perspective to children. Putting ourselves in someone else's shoes is important to be understanding and empathetic. Thanks! I'm having trouble publishing this post. Hope it goes through this time! Your insight and mentor texts highlighted the wonderful attributes of imagination and curiosity in picture books. Thanks for showing us the many ways authors do this well! Encouraging empathy and understanding one picture book at at time. Thanks for these mentor text suggestions, Jenna. 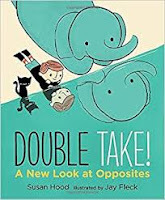 I look forward to reading the titles new to me: WINDOWS and DOUBLE TAKE! Thanks for these suggestions--some I haven't read. Such an important post! So, I've always been a fan of Jenna :) and I'm also a fan of PBs with different perspectives. I think this is such a joy for a reader to experience. One of my favs is NANA IN THE CITY, which is a great example of what Jenna speaks about: you have the power to change your perspective, and doing this bring awareness, understanding, and empowers us to embrace diversity and change. Great post! Wonderful books with fresh perspectives! Thanks for this great post. Jenna, what a great post. So awesome to help children see different perspectives. And it's so very generous of you to offer a submission pass. Thank you! I have a new favorite picture book: Windows. Thank you for sharing these excellent mentor texts on perspective! This was a fascinating topic, and a great list. Thanks for perspective on possibilities in picture books! Encouraging a child to take a new perspective is a life long gift. I’m looking forward to reading as many of these books that I can get my hands on. Thanks for the new recommendations. I've read some but not all... into the library bag I go! Except for They All Saw a Cat, these books are all new to me. Thank you for sharing books that share new perspectives, Jenna! What a great post! 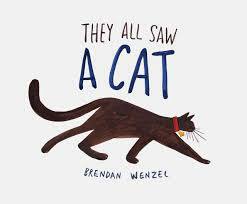 I was especially moved by "They All Saw A Cat"...this book is definitely not just for children. Having the ability to show people that their perspective is only one way of experiencing the world is a remarkable skill. I also found the marriage between the visuals and repetition extremely powerful. I am thoroughly inspired! Thank you! Jenna, thank you for these great mentor texts. Another that is about perspective is Dear Mrs LaRue . Through a growth mindset and an open heart, everyone should be considerate the perspective of others. Windows was the most interesting of the group for me. I didn't find Small but will keep looking. All of these have different p.o.v. and opened my eyes to new ways to structure and think about a story. Thanks for this post, Jenna. I enjoyed Windows very much. After I read it, I thought, "Now why didn't I think of that?" Reading these books reminded me to search for different ways to approach topics. Looking at topics from different perspectives could lead to some creative stories indeed! Thank you for sharing these titles! I love "They All Saw A Cat." Thanks for sharing your perspective, Jenna! So well said, Jenna! Picture books are powerful and therefore authors and illustrators can have such an important on positive impact on children's lives. I try to remember that as I write. Thank you for your thoughts and book selection. The language in Windows reminded me of poetry. Lovely. I love They All Saw a Cat. It is so creative as well as educational. Thank you for your post. Oh Now I can see. And I always see a Cat! Great choice of books, Jenna! Love the idea that perspective can inspire different ways of thinking. I enjoyed FLASHLIGHT NIGHT for similar reasons; it reminds us to see the wonder in the world by looking at it in a slightly different way. It's amazing when both the text and the illustrations work in sync to offer a unique way think about a familiar theme. I remember Jabari's view from the diving board in JABARI JUMPS and the image of the birds looking directly at us, the readers, in IF YOU PLANT A SEED. Thanks for reminding us to look for this and try for it in our own writing, Jenna. Great list! I loved Beautiful and how the illustrations were the opposite of what you expected, if only that book had been around when I was growing up. Also, Double Take was so cool, I loved how the text and illustrations worked together perfectly. Plus, it rhymed, amazing! Fantastic list! Thanks for sharing. I was able to get a hold of Windows and They All Saw a Cat, both were wonderful. Thinking of how to apply to my own ideas! I love THEY ALL SAW A CAT! Thanks Jenna for the great list. I just gave They All Saw a Cat as part of a baby shower gift. Some of these , I hadn't seen before. Thank you for opening my eyes. I'd love to see the author's illustration notes on Beautiful. Nice example of different perspectives! 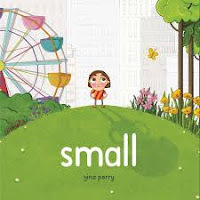 Jenna, these are excellent mentor texts to help children of all ages learn about perspective. The illustrations in these books captured my attention. Thank you for challenging us, as authors and illustrators, to show our readers new perspectives. Thank you, too, for the kind offer of a submission pass as your prize. What an AMAZING AND POWERFUL gift: to help others see the world and others DIFFERENTLY! And what a WONDERFUL GIFT OF INSPIRATION these book examples are! THANK YOU!!! All such amazing examples. Thanks so much for sharing. You're right - the ability to do this with a picture book is simply magic. They All Saw a Cat is a pretty cool study on perspective. In Beautiful I love the page about beautiful girls keeping their hair properly in place! HA! I can't wait to get my hands on WINDOWS. It's such a popular title that there's a bit of a wait for it at my library. I wish I'd thought of THEY ALL SAW A CAT. Such a brilliant way to illustrate unique perspectives. Thanks for a great post, Jenna! Wow! I have to rush out and buy Beautiful for every beautiful girl I know! And the philosophical questions in Double Take -- I'm going to have to reread that one a few times. Sadly I haven't yet been able to find Small or Windows. I will keep searching. Thank you for making me think about looking through a different lens. THEY ALL SAW A CAT was masterful! Picture books are the perfect medium for introducing children to the abstract concept of perspective. Thanks for the suggestions: I'm still waiting to get my hands on a couple of these. Absolutely LOVE Beautiful! It was so refreshing to see the author and illustrator turn typical phrases about beautiful girls on their heads. I wish I had a daughter to share it with. And my son loved They All Saw a Cat (although he thought the cat's bell should have been included in the description of the cat so he interjected it every time we read it!). The books today were very inspiring. THEY ALL SAW A CAT is a perfect example of showing different perspectives and so perfectly done. Thanks, Jenna! Thank you Jenna for those new perspectives ! One of my favorite decades old activity is to have kids retell a rhyme or story from a minor character's point of view...as the spider in Little Miss Muffet. Hopefully, titles as these and others will help foster positive lifetime skills. I love this list of mentor texts. Thanks for the reminder that great picture books can challenge / change a reader's perspective. No matter how tech-savvy the world gets, I love that we can still get lost in books! One of THE most important roles of a picture book. Thanks for this list! This week I was thinking a lot about the importance of perspective. We live in a school district that threatened to discipline the children who participated in National School Walkout. The communication from the schools kept saying, "this is not political." Not political to whom? It may be so angry that the administration wasn't being open-minded. Thank you, Jenna, for this list! Of the four books I was able to get, I think Beautiful is my favourite - having brought up four girls of my own. Thank you for this post. Changing the perspective can change everything. I love the way each of these books makes us examine the concept of perception. Great post! When I first stumbled upon They All Saw a Cat, I thought it was brilliant, it needed to be in my kids library right away. It's amazing how we all appreciate the fresh perspective, even my youngest 3 year old. Can't wait to get Windows from my library. Thanks for examining this topic. Thank you Jenna for this list of books that give examples of stories told in a different perspectives. I was so impressed with They All Saw A Cat. I'm waiting on the other mentor texts to arrive at my library. Love this important topic-especially in these times. Thank you for the great post and book suggestions! I agree. When I saw Windows I loved it immediately and adore how it shows a simple walk which tells so much. They all saw a Cat is genius perspective. Haven't been able to find the other books in Australia. This is such an important theme and a great selection of books. Thank you for sharing! Being super short myself I really appreciated Small and I'm amazed how the author packed a huge message into under 100 words! They All Saw A Cat is great to teach perspectives, and I really enjoyed how the author used simple rhymes in Double Take! to teach a big message. These were all great reads and each was unique. Thanks! Thank you Jenna for your choice of mentor texts showing us the world through different eyes. I love how picture books can be both a lens and a window. These books all offer such great perspectives, in a way that children can grasp and grow. Thank you for the post! Yes, I love this! I'm always amazed at myself when I change the way I think. It's got to be super cool as a kid too! I loved "Double Take!" and "Windows" both of which I was unaware of. Thanks! As the mother of teen daughters, I LOVE the perspective in Beautiful by Stacy McAnulty. The way the illustrations convey the different perspective of the words alone. It's BEAUTIFUL! Great book selections. DOUBLE TAKE! really did get me thinking about opposites in a new way. I'll definitely use it in my classroom. I loved the language and illustrations in WINDOWS, too. Thanks! Thank you for the diverse selection of books that show perspective. I think I could use And They All Saw a Cat to teach perspective to my first and second grade writers. On another note, I went to the movies today and saw a trailer for one called "Small Foot" where the Big Foots are afraid of a Small Foot. Never thought about that. . . So many perspectives for us to write about! I love this post, thanks so much. Creating a poweful picture book that resonates with children is the ultimate goal. Your suggestions are great. What a wonderful set of books that dig deep into deep concepts. Thanks Marcie. Jenna, thank you for this wonderful post and thank you for the wonderful selections. I cannot wait to eventually read them all. Was just thinking about this topic. Another example of bringing of how our wonderings can translate to picture books. Excellent blog the other day suggested we are really writing for our own inner child and keeping in touch with that will help us write for children. Thank you for the great post on such an important topic. Took some good notes and will put a few quotes on my vision board. I've had a fascination of windows since childhood. I cannot wait to read the book. I loved They All Saw a Cat. It would also be great to read to 7-8 graders and discuss it. "The realization that you have the power to change your perspective, and derive confidence from it." Such an empowering point. Thank you, Jenna. "Beautiful" made me smile from start to finish! What a FABULOUS perspective with match-made-in-heaven illustrations! Both "Double Take! A New Look at Opposites" and "They All Saw A Cat" were such fresh ideas. The both really drew me in. How lovely to look at world from others eyes! 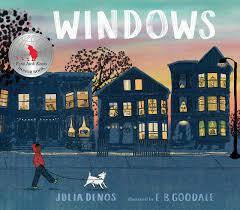 My absolute favorite from this selection of mentor texts was "Windows." There were some gems in the writing, like "an early raccoon" and a window that was "bright and rounded like the moon." It perfectly captured the glow of "almost-night" and literally gave a window into his neighbors' lives. Reading this story gave me the warm feeling of a fall evening, catching a glimpse into a cozy home. The art captured the architecture of the author and illustrator's Massachusetts neighborhood, showcasing all of the cool windows you can look through to get a sneak peak of someone else's life. I also really loved the ending, when "someone you love is waving" at you through your own window. It made me feel home. Each of the selections can be praised for making the reader see something through someone else's eyes. This topic made me think of the phrase "walk a mile in their shoes." It shows you how someone else may interpret the same exact thing, and that not everyone will see things your way, which is an important lesson for a child to learn. Thank you, Jenna, this is a wonderful selection of books! Thank you for sharing. Can't wait to read Windows! Thank you for sharing this great list of books. I love that picture books can give readers a whole new perspective. I've seen it manifested through my own kid's eyes. Picture books are such a neat thing to share with children. I love when a book leaves me seeing that new perspective and wondering how and what I can do to evoke change! Such a lovely post and some titles listed I need to read. Thanks a bunch. Great topic and great selection of books. Thank you. All day today while reading today's books I kept channeling Patti Labelle's song, NEW ATTITUDE." Your selections are as good as her song, and that's saying something! Books are so powerful. Thank you for the list of books. Thank you for reminding us of the importance of being open to new perspectives. Great list of mentor books. WINDOWS is one of my favorites. I'm sorry if this comes up twice, but I didn't see my first comment and seriously don't want to miss out on an opportunity to thank you for your reading list! Great list. We thought the art in THEY ALL SAW A CAT was pretty great. Definitely something to think about when working on an evergreen topic to make it fresh. Thank for a new perspective! Love They All Saw a Cat - very clever look at different perspectives. I loved the juxtaposition between the words and illustrations of Beautiful. I can't wait for the other books to become available at my library! Being able to inspire a new perspective would be one of my greatest accomplishments as a writer. Thank you for these mentor texts! I do love books that allow you to take a journey in someone else's shoes. It's always so refreshing to see something you've seen over and over again in a new light. Yes, pb are a powerful way to that! I thought DRIVE was especially creative. Thanks! I really enjoyed the contrast between the text & the illustrations of "Beautiful." I'd love to know how the author handled illo notes, if there were even any! And "Windows" took me back to my own childhood, having grown up in a beautiful Tudoresque apartment building. I was always staring into my neighbors windows! Great examples! I enjoy how the text and illustrations of Beautiful tell two different stories, but I’ve never thought of it in the context of perspective necessarily. Thanks for the food for thought. "They all saw a Cat" is a BRILLIANT example of how there can be more than one perception of the same thing. I love that's it's a fun book for young kids with its interesting illustrations, but it has a deeper meaning for older readers. So important for kids to see other perspectives in books. Thank you! Lots of strong titles to study. Seeing things from someone (or something) else's perspective is what makes picture books both powerful and fun. Ok, another post I thought I had posted, yet cannot find! I loved the story in "They all saw a cat" but it looked different in each ones eyes. I just requested WINDOWS and DOUBLE TAKE from the library. Hopefully, these posts in ReFoReMo wont go away any time soon! I was so amazed by all of the different perspectives in They All Saw A Cat. It was so refreshing and led to so many discussions with my kids about the different critters who saw the cat. Great selections - thanks! Another good one is Alfie (The Turtle That Disappeared). Perspective develops resilience. They All Saw a Cat is a very interesting way to show perspective. Love how these books show different perspectives. I hope my words in stories do the same. This is such an important post! Thank you!